Q: Are your dogs from Australia? 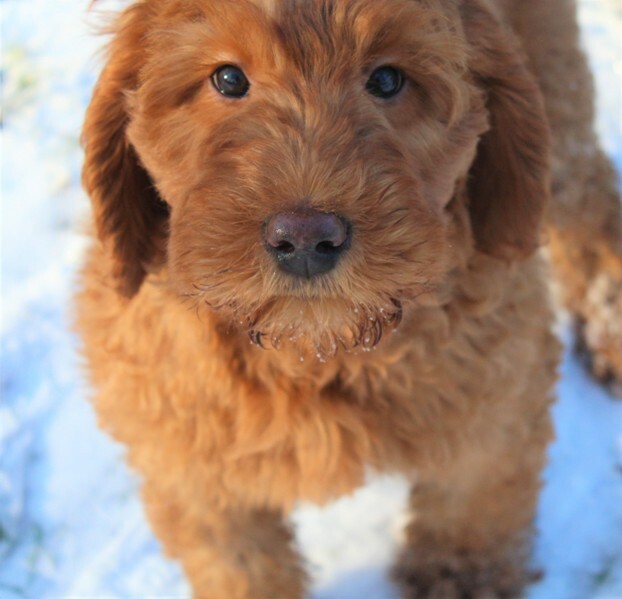 A: Our Australian Labradoodle breeding stock is made up of top quality, multi-generational labradoodles imported from the Australian research and breeding centers, Tegan Park and Rutland Manor. We are also infusing some earlier generation breeding stock for fresh bloodlines and to offer the hybrid vigor that the labradoodle is known for! For more information on the breed in general (sizes, coats, temperaments, health issues), please check out www.ilainc.com. A: The Australian Labradoodle pups are $2500-3000 plus Ohio Sales Tax, and come with all appropriate shots, already spayed/neutered, vet checked, and health guaranteed. Q: How do they do with kids? A: They are well-socialized by our children and other pets, and spoiled rotten. The pups are home born and raised and receive lots of handling and attention. Q. What about the associations for labradoodle breeders? Why don’t you belong to ALAA or ALCA? A. We LOVE our friends at the ALAA, where we were members for several years. We also have lots of friends at ALCA. Both of these organizations have gone through multiple changes, and have many disagreements among membership. We have been breeding the Australian Labradoodle for 14 years, and prefer to keep our own pedigree information, make our own breeding decisions, and avoid a bit of politics. Many of the members of ALAA and ALCA have purchased or traded breeding stock with us. We truly support them and often refer customers to them. Q. There are so many opinions about the best labradoodle. How can we make sense of it all? A. Two breeders in Australia were responsible for the idea behind this brilliant breed, Rutland Manor and Tegan Park. Although they used several different breeds over many years, the basic “recipe” included selectively breeding lab/poodle/spaniel dogs for several generations to get consistent fleece coats. Temperament was also important to their breeding decisions, and most owners of Australian Labradoodles are floored by its temperament. One thing that was missing in several dogs imported by myself and my breeding friends, was consistent testing and consistency in pedigree information. Since that time, we have tested many, many breeding stock males and females, and began making health improvements to our beloved doodles. Also since that time, some amazing American breeders have developed some breathtaking lines of labradoodles, with consistent coats and temperaments, and the highest health standards. Every breeder has their own goals and priorities. Personally, I believe that socialization and good breeding are the keys to a trustworthy family dog. It’s also very important to me that we are using new, outside lineage to prevent breeding related dogs, which is becoming ever more difficult with Australian Labradoodles. If you are interested in reserving a puppy from our litters, please download a booking document from our website. Your booking document and deposit secure your place in line for one of these extraordinary dogs! A: Our Australian Labradoodle breeding stock is made up of top quality, multi-generational labradoodles imported from the Australian research and breeding centers, Tegan Park and Rutland Manor, as well as Australian Labradoodles purchased from other USA breeders. And now, after 14 years of breeding these wonderful doodles, thanks to some hard-working breeders here in the US, the American lines are rivaling our original Australian Labradoodles in consistency of coat, temperament, and allergy-friendliness. 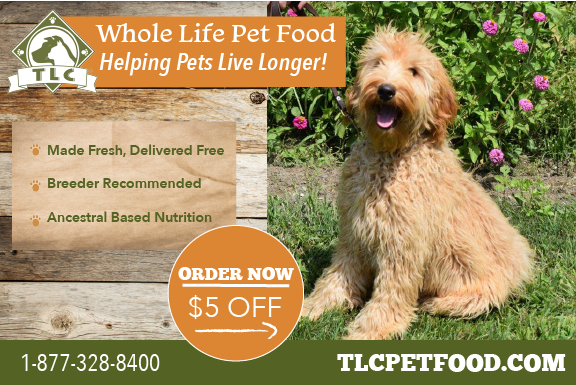 Using the best of the best, both Australian Labradoodle breeding stock from many of the oldest bloodlines imported from Australia, and some amazing new lines bred right here in the USA with the same “recipe”, we are proud to offer our allergy-friendly, therapy-type, healthy and happy Australian Labradoodles! Thanks to our many, many customers and fellow breeders who are ensuring the improvement in our breed!!! Check out our testimonials page to read what our pups mean to their new families.